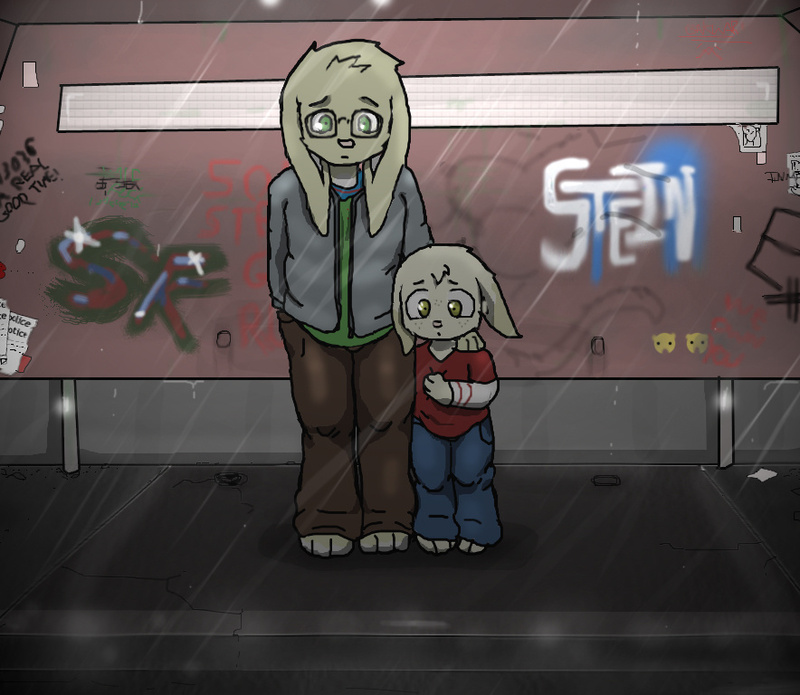 Actually the whole town is pretty much this way after the corruption of the mayor, the place became a gangland, night time is especially dangerous for two lil bunnies all on their lonesome. ;) But the only one bus connects the park and the orphanage. And it is often late. A visualization of the start of my story, just moments before the two meet Ren.